All PAC strapping dispensers are quality manufactured utilizing the highest quality material and workmanship. High yield structural tubing, heavy load bearing wheels and solidly constructed brake assemblies result in dispensers that will give you years of dependable performance. 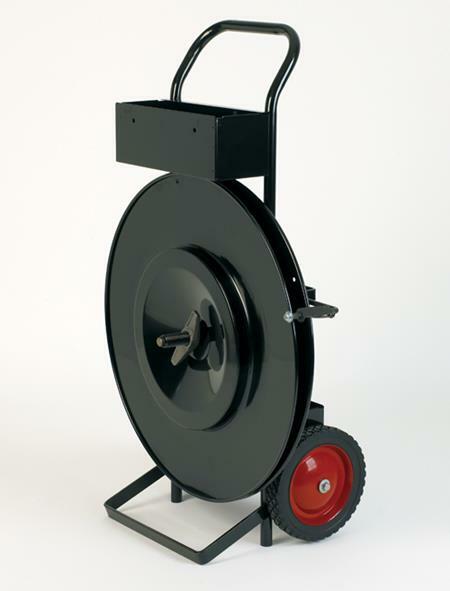 The 316S is a heavy duty steel dispenser designed for use with all oscillated wound steel coils. In addition to a convenient tray for tools and seals, and 8″ wheels, the 316S features the exclusive strap roller payoff system to prevent kinks and strap spill-over. Shipped knocked down, can ship via UPS. This dispenser is identical to the 316S, except it is designed for 16×3 and 16×6 coils of plastic strapping. Shipped knocked down, can ship via UPS. Our best selling model, the 863 can be used for both steel and nonmetallic strapping. Features include an automatic brake, heavy duty 6″ wheels, and a tool tray. 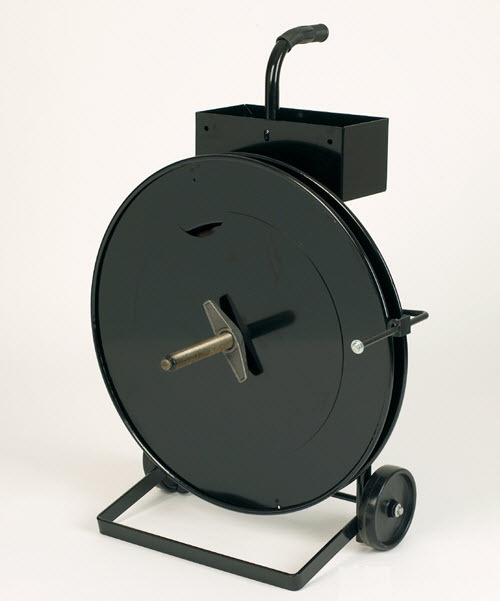 This cart is extremely versatile and accepts 3″, 6″, and 8″ face coils as well as 16″ and 8″ cores. This unit has a continuous handle heavy duty tubular frame. It comes complete with a large tool tray, automatic brake, and 7.5’ plastic wheels. It accepts 16″ core coils in face sizes up to 6″ and is compatible with steel and nonmetallic strapping. Shipped knocked down, can ship via UPS. This is a heavy duty, continuous handle, tubular constructed dispenser. Designed for use with ribbon wound 1 1/4″ steel, this unit is complete with 10″ semi-pneumatic wheels, and an extra large tool tray. Designed for ribbon wound steel, the RWD 2020 holds up to 3 ribbon wound coils, has space to store heavy duty tools and seals, and oversize wheels for ease of handling. 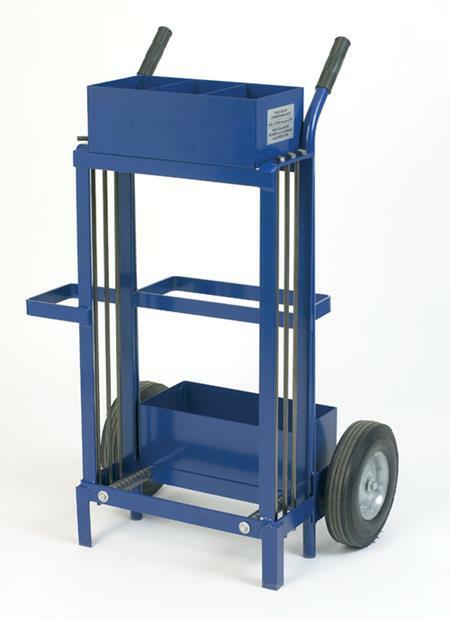 This is a well constructed heavy duty cart suitable for the most demanding applications.